(Newser) – A judge sentenced a Colorado woman who cut a baby from a stranger's womb to 100 years in prison, including the maximum penalties for attempted murder and unlawful termination of a pregnancy. Judge Maria Berkenkotter said the sentences were justified by the brutality of the 2015 attack, which she described as performing a cesarean with a kitchen knife. She also said the victim, Michelle Wilkins, as well as her family and the community needed Dynel Lane, 36, to express remorse. 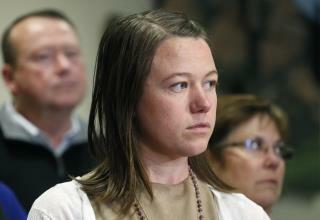 Lane murmured a "no" when the judge asked if she wanted to speak Friday. Lane also did not speak in her defense during her trial, which ended in February when jurors found her guilty of attempting to kill Wilkins after luring her victim to her home with an ad for maternity clothes. One less Trump vote Y A Y! Give her 10,000 more years.